With the vegetable gardens Minigarden winning over an increasing number of fans, the Minigarden team decided to pay a visit to a number of customers who have the Minigarden system installed. The Minigarden now forms part of the daily lives of so many families, it is intriguing to see up close the development of their vertical vegetable and flower gardens. 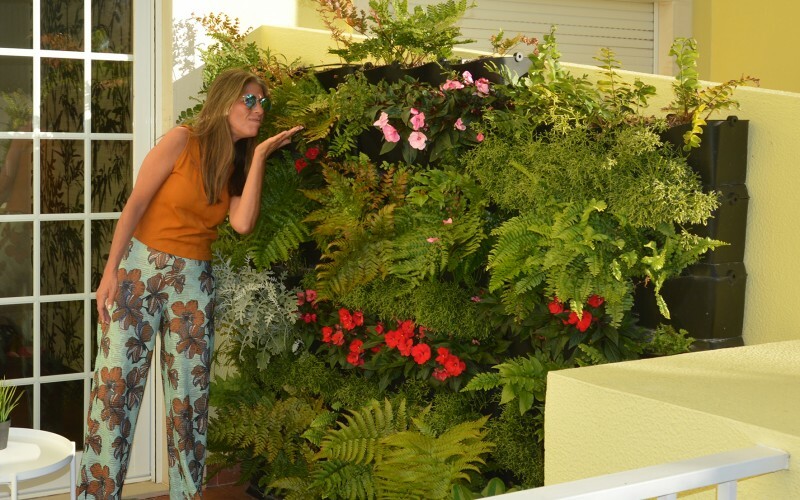 On this occasion, we paid a visit to Carmen Ferreira, a mother who 7 years ago chose to put a Minigarden on her balcony. In addition to installing the modules, she opted for our drip irrigation system (giving each plant the water and nutrition it requires), along with a programmer, a fertilizer feeder and a filter/pressure reducer, thus automating the irrigation and nutrition system. Carmen explains that “In the summer, the vegetables have to be watered every day, and on the hottest days, sometimes twice a day, which justified the investment. It proved a fantastic solution, since we have little spare time”. Over the years, Carmen decided to change the kitchen decor, and the balcony was included in her plans. In these hectic times of increasingly scarce spare time, Carmen chose to create a different space, where she could enjoy a cosy lounge environment with her family and friends. “I decided to bring the city garden into our home”. Carmen explains further, “At that point, we spent little time at home. I wanted to enjoy all our free time and a vertical garden requires less time and maintenance than a vegetable garden”. Since the family already had the Minigarden system installed, the decision was easily implemented. 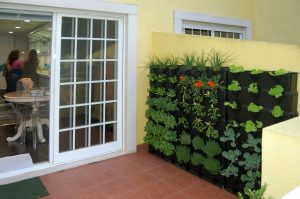 After 6 years with the vegetable garden on the balcony, they created a vertical garden. “It was a project that gave me immense pleasure. As the system was already assembled and functioning perfectly, the only difficulty was choosing the right plant for each space, the right species and the care that each plant needed. I thought about the brightness of the environment…”, Carmen explains with great enthusiasm. She adds that “In environments that get sun for most of the day, for the garden to look beautiful, the ideal thing is to have an irrigation mechanism to conserve moisture… and that already existed in the garden… the species chosen needed to be resistant to excessive exposure to the sun”, she adds. Carmen’s first decision was to add more Minigarden modules to follow the slope of the wall. “I wanted the wall to be full of plants”. As the Minigarden system is modular, Carmen had no problem increasing its height. 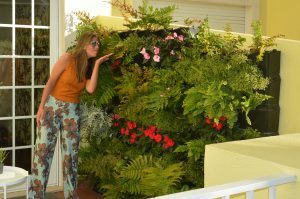 Thus, the vertical garden completely covered the wall, giving it a natural appearance and a sense of abundant nature, all in a small space. We could see that her vertical garden is very lush. With the arrival of spring, nature took the opportunity to do something extraordinary. 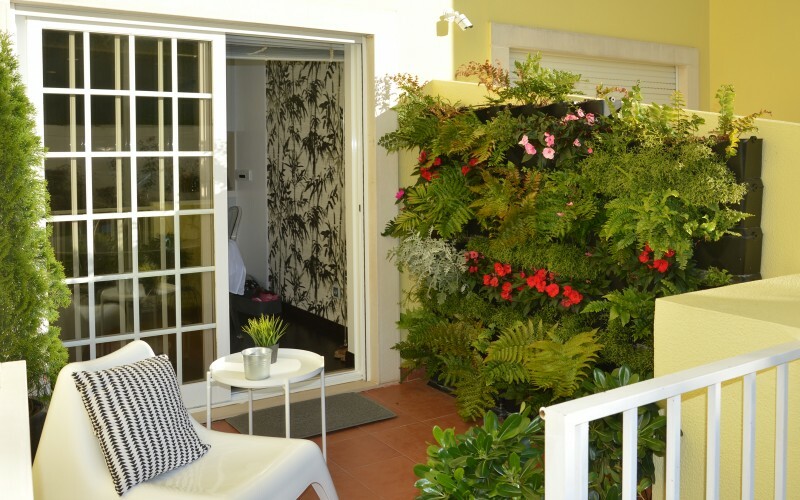 Vertical gardens are an innovative, practical and beautiful solution. Ideal for confined horizontal spaces such as terraces, balconies and patios, they match the hectic pace of our lives in city centres. Carmen ends the conversation by saying, “I have a warm, natural and colourful space… times change, our desires change”. The Minigarden team is grateful to have had the opportunity to witness the Ferreira family’s transformation. 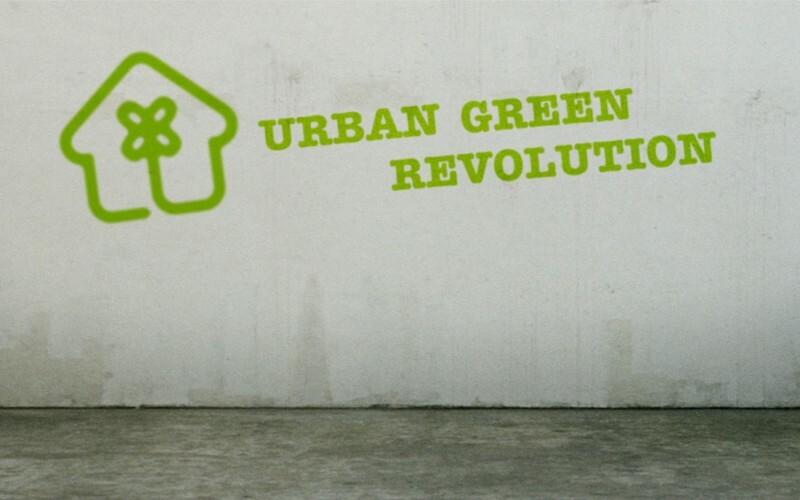 Keep participating in the Urban Green Revolution!